Audiolab launched the 8000A in 1983, thirty five years on they are launching the new 6000A. Outwardly, the 6000A bears strong resemblance to the 8300A with its rotary controls and large, central OLED display. But while the 8300A costs £899, the 6000A’s recommended price tag is just £599. 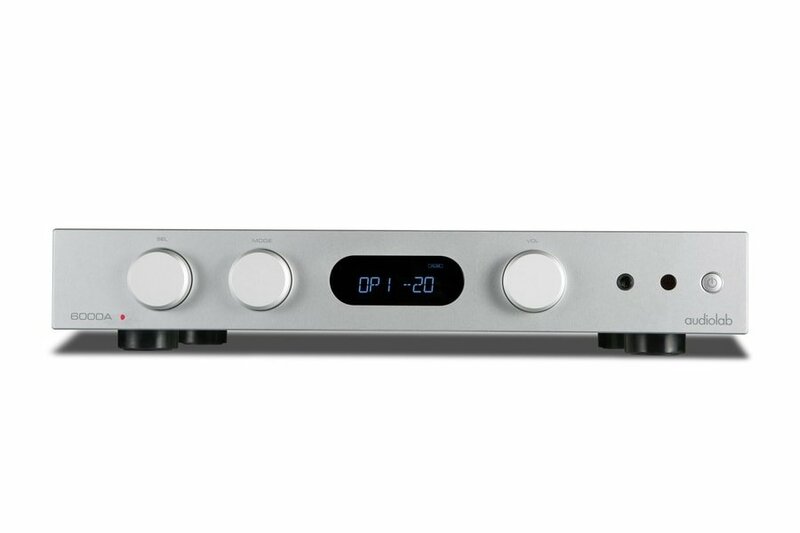 What’s more, unlike its costlier, analogue-only sibling, it incorporates high-quality D/A conversion, enabling digital sources to be connected directly without an external DAC. 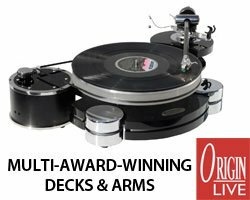 It supplies four digital inputs, three line-level analogue inputs, an input for a turntable, wireless connectivity via Bluetooth and a dedicated headphone amp. The 6000A’s lead electronics designer is Jan Ertner, the same man responsible for the 8300A. As ever, Audiolab has turned to the ES9018 Sabre32 Reference chip family to perform D/A conversion, utilising ESS Technology’s 32-bit HyperStream architecture and Time Domain Jitter Eliminator. A critical element is the post-DAC active filter. Ertner and his team have paid great attention to this circuit, developing a Class A topology using op-amps that were specifically chosen for their synergy with the ES9018. The amp’s four S/PDIF digital inputs, two coaxial and two optical, handle hi-res PCM data up to 24-bit/192kHz and benefit from three user-selectable digital filters: ‘Fast Roll-Off’, ‘Slow Roll-Off’ and ‘Minimum Phase’. These settings allow the user to optimise the response to suit the source file and bandwidth of the partnering equipment. Bluetooth connectivity, which includes support for the sonically superior aptX codec, allows wireless streaming from smartphones, tablets, laptops and more. The 6000A’s discrete Class AB power amp stage delivers 50W per channel into eight ohms, with a maximum current delivery of 9 Amps into difficult loads. The output stage of the discrete power amp circuits uses a CFB (Complementary Feedback) topology, the idle current is kept independent of the temperature of the output transistors. The preamp section is kept as simple as possible to maintain signal purity, with line input signals passing to an analogue volume stage. The latter covers the range from -80dB to +8dB in steps of 2dB and 1dB (step resolution increases with volume position). Audiolab has included a phono stage for moving magnet phono cartridges and has incorporated a dedicated headphone amp with current-feedback circuitry. The amp has three modes. The primary mode is ‘Integrated’ – this combines the pre and power amp stages, for the connection of digital and analogue sources to the amp’s inputs and a pair of speakers to its binding posts. ‘Pre-Power Mode’ disconnects the pre and power amp stages. 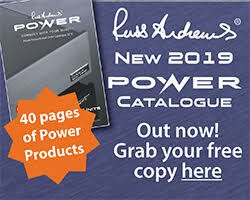 The allows the 6000A to be used solely as a power amp – for example, connected to an AV processor in a home cinema system. It also enables additional signal processing to be added, by connecting the 6000A’s ‘preamp out’ socket to an external processor, then returning the processor’s output to the amp’s ‘power amp in’ socket. Finally, ‘Pre Mode’ disables the power amp stage, turning the 6000A into a standalone preamp. This enables external power amplification to be added, thus providing a possible upgrade path. The Audiolab 6000A is available from October in a choice of silver or black, at an RRP of £599.